Some laws are grey, but this one seems to be increasingly black and white. The Stand Your Ground law in Florida -- and now 24 other states, including many in the South -- was a major factor in jury deliberations for both the Trayvon Martin killing and now, the case of Michael Dunn, who killed 17-year-old Jordan Davis. George Zimmerman was acquitted of shooting an unarmed African-American teenager. The jury in the Dunn case failed to reach a consensus on the murder charge and the judge ruled a mistrial. Both the Dunn and Zimmerman trials have highlighted a major theological problem with Stand Your Ground laws. In Romans 13, the apostle Paul describes the role of government as a positive one -- meant to protect the poor and to promote the common good. The Stand Your Ground laws are based on fear -- fear that is often rooted in racism. Rather than promoting a vision of the common good and what our life together should look like, it justifies taking life and codifies fear. When Dunn pulled into a gas station convenience store next to a car with three black teenagers, the dispute was about "loud music." Later statements from Dunn describe "thug music" and call the teenagers "gangsters" who seemed "menacing." Dunn resented being called a "cracker" when he argued with them. The prosecution said Dunn shot Davis because he got angry when the teenagers wouldn't turn down their music when he asked them to and then "mouthed off" to him. Dunn also claimed that Davis raised a shotgun, but no witnesses saw a gun and none were found. Dunn was convicted on other charges of attempted murder when he got out of his car and crouched to fire more rounds into the car of unarmed teenagers as they sped away from him in fear. Dunn will serve at least 60 years in prison for those shots. While Dunn deserves the prison time for the lesser charges, justice has yet to be served in the killing of an unarmed black teenager, just as it failed Trayvon Martin. The problem is the systemic injustice inherent in Stand Your Ground laws: just feeling like you are being threatened can justify your response in "self-defense." Under Florida self-defense laws now, someone can use even lethal force if they "reasonably believe" it is necessary to defend their lives or avoid great harm. How does a jury decide what a "reasonable person" would do under all the circumstances? Even if Dunn really believed there was a gun in the black teenagers' car and there wasn't one, he could still be justified in shooting into the car according to Stand Your Ground. The New York Times quoted Mary Anne Franks, an associate law professor at the University of Miami saying, "This trial is indicative of how much of a problem Stand Your Ground laws really do create ... By the time you have an incident like this and ask a jury to look at the facts, it's difficult to re-create the situation and determine the reasonableness of a defendant's fear." And unfortunately, the law creates an opportunity for racial factors -- whether they're conscious or not -- to trump facts when even one juror who is sympathetic to a defendant's "reasonable" fear can prevent prosecution. The facts of the case really don't matter anymore, just the feelings and beliefs of the defendant. And when you add the race of the victims into the mix, the disparities in how the law is applied are clear. Basically, if a white man feels or believes he is threatened, regardless of the facts of the case, he can be justified in shooting and killing a black man. The reality of Stand Your Ground laws in Florida and 24 more states is that racial fear and hatred is now legally justified. Black men are always at risk -- as every black parent in this country has told their young boys and as the statistics now bear out. Since the law was passed in Florida, there has been an 8 percent increase in the homicide rate. Under Stand Your Ground laws in general, the chances that white-on-black killings will be found justified is more than 11 times than that of a black-on-white shooting using the same defense. Two boys -- among others -- have been killed and their families ripped apart by gun violence. The law that is meant to protect fails them. Not only do Stand Your Ground laws institutionally legitimize racism by mostly white men carried out against mostly black men, instead of reconciliation and peace, gun violence and racial fears are allowed to win the day. Where just laws were meant to preserve the common good, unjust laws like Stand Your Ground excuse us from living out our best values. It is time to make that clear from our pulpits, starting in Florida. Let's tell governors to end these unjust laws. 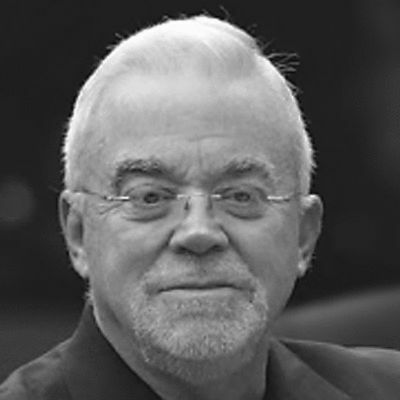 Jim Wallis is president of Sojourners . His book, On God's Side: What Religion Forgets and Politics Hasn't Learned About Serving the Common Good, is now available. Watch the Story of the Common Good HERE . Follow Jim on Twitter @JimWallis.